We’re a week away from the official first day of Mobile World Congress, and the new phones are already starting to roll in. NVIDIA and ZTE introduced the Mimosa X today, the first phone with both a Tegra 2 dual-core processor and an Icera Modem. The Mimosa X will have the Icera 450 HSPA+ modem, which supports multiband HSPA+ and speeds up to 21Mbps. The modem does not support LTE, however, so it will run on either T-Mobile’s or AT&T’s HSPA+ network. Despite the lack of LTE, the Mimosa X has some enticing features: The Ice Cream Sandwich phone has a 4.3-inch qHD (960 by 540 pixel resolution), a 5-megapixel camera, a front-facing camera, and 4GB of storage (expandable up to 32GB). The Mimosa X might also be a good multimedia companion with built-in Dolby sound, DLNA support for content sharing, HD video capture, and a built-in gyroscope. According to NVIDIA, the Mimosa X is targeted to the “mainstream market,” which I assume means that the phone will be fairly inexpensive. ZTE has been trying to carve out a niche in the mid-tier smartphone and tablet market in the United States with the introduction of the ZTE Optik, a $100 tablet earlier this year, and a handful of pre-paid Android phones, like the ZTE Chorus, last year. 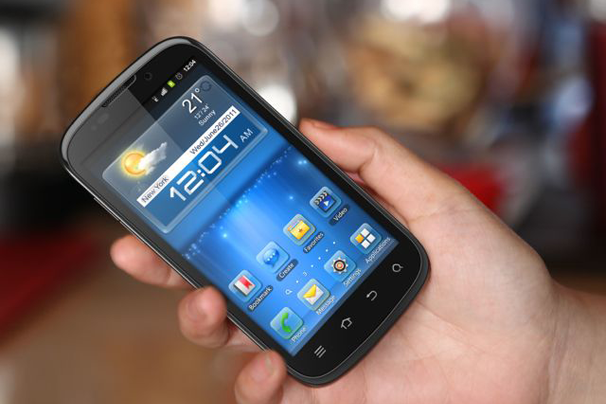 The ZTE Mimosa X will launch sometime in Q2 2012. Pricing and carrier have not yet been announced.